If you’ve lost several teeth through accident, injury or even disease, our Orange County multiple tooth replacement options are something you should consider. Here’s a list of some of the more common and popular ones that people choose. 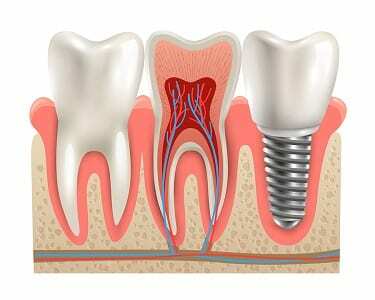 Technology has come a long way when it comes to dental implants. For example, it wasn’t that long ago this process required several visits to the dentist. Today, with certain procedures, you can get a full upper or lower set of these implants in one visit. These are the ones that act and feel just like your real teeth. In fact, dental implants require that you keep brushing and flossing in the same way you did when you had your natural teeth. If you’re thinking about this as an option, it’s important to come and see us for an initial consultation. The success of your dental implants often depends on how strong your jawbone is. There are even a few situations where something like gum disease needs to be treated before we can proceed with these cosmetic dentistry choices. This is one of the most common Orange County multiple tooth replacement options. Many seniors choose dentures because they are convenient. A partial denture can be connected to your existing teeth so it stays securely in place. Full dentures fit around your gums and need to be removed and cleaned frequently. 7 Day Dental is committed to making sure you have the options placed clearly before you. Transparency is one of the cornerstones of our dental practice. To that end, we conveniently display all the forms and documents you need on our website. That’s where you can also find the names of the major carriers we accept. This is a popular choice for people who are missing more than a few teeth but don’t want to undergo any kind of surgery. A strong dental bridge needs to have an anchor so this option may be suitable for a patient with a few original teeth that are in good shape. It’s important to keep in mind that a dental bridge is an alternative that will alter some of your healthy teeth. It doesn’t really matter how you come to lose several of your natural teeth, our Orange County multiple tooth replacement options are excellent.